Courtesy of the IDW August Solicitations released today, we now know a little more about just how Ben Bates and Dustin Weaver are fixing to take everyone’s favourite Warthog/Rhino double-act on a carnage-fuelled road trip this summer. 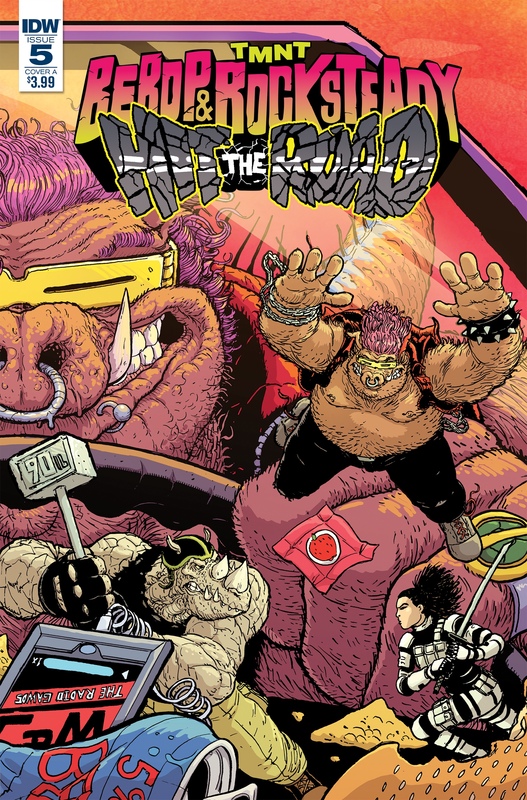 The five-part Bebop & Rocksteady Hit the Road! miniseries will go on sale in August, with a new issue released every week. 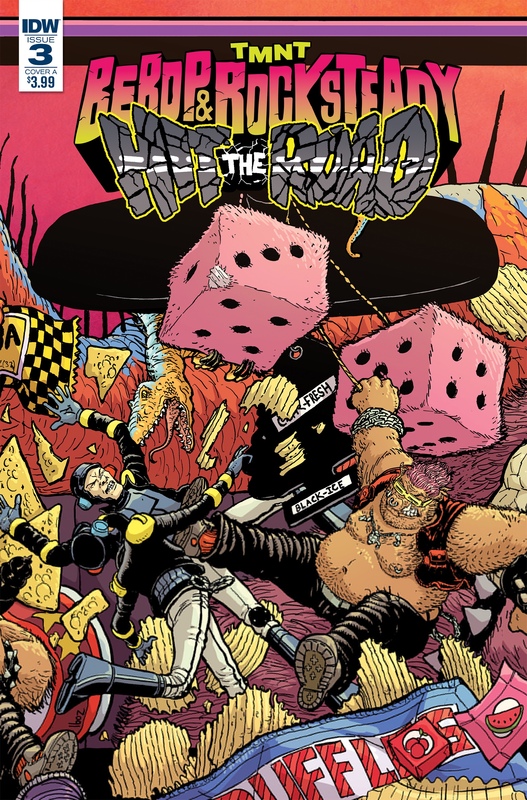 The sequel to the gloriously bonkers Bebop & Rocksteady Destroy Everything! sees the pair heading back to NYC, and each issue will feature a stunning interlocking cover courtesy of the fantastic Nick Pitarra. So feast your eyes on four out of the five covers – along with the solicitation info for each issue – below, and we’ll see you bums in August! Everyone’s favorite mutated masters of mayhem, Bebop and Rocksteady, are road tripping back to NYC! But before they can get started on their journey across America, they run into a crazy old enemy who’s bent on derailing their trip before it can begin! 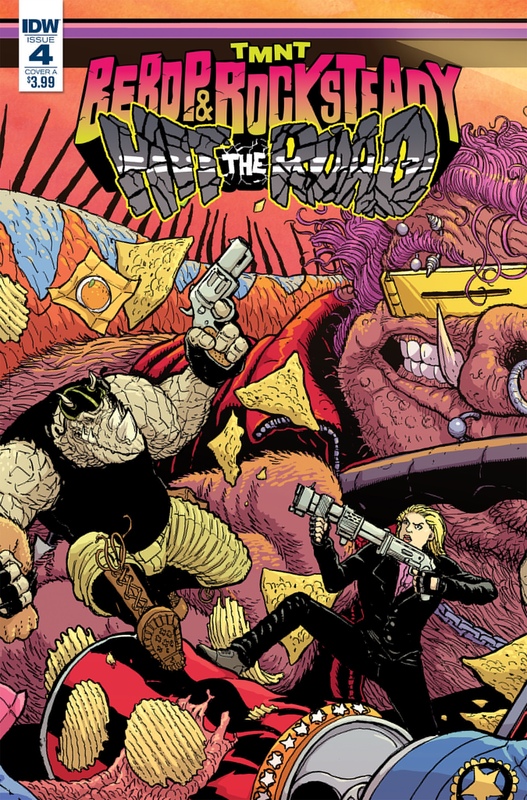 ● The sequel to the hit TMNT: Bebop and Rocksteady Destroy Everything! ● The most insane TMNT tale of the year and possibly ever! ● Variant covers Cory Smith,and Kevin Eastman! When Bebop and Rocksteady run into a major roadblock, they’re forced to do the unimaginable—get real jobs! • Variant cover by Ulises Farinas! Time-travelling menace Savanti Romero returns to enlist Bebop and Rocksteady again… but he’s brought a whole heap of trouble back with him from the 79th dimension! • Variant cover by Giannis Milonogiannis! Bebop and Rocksteady’s trail of destruction has got them a lot of attention… including from the government who’s sending an army to stop them! • Variant cover by Buster Moody! 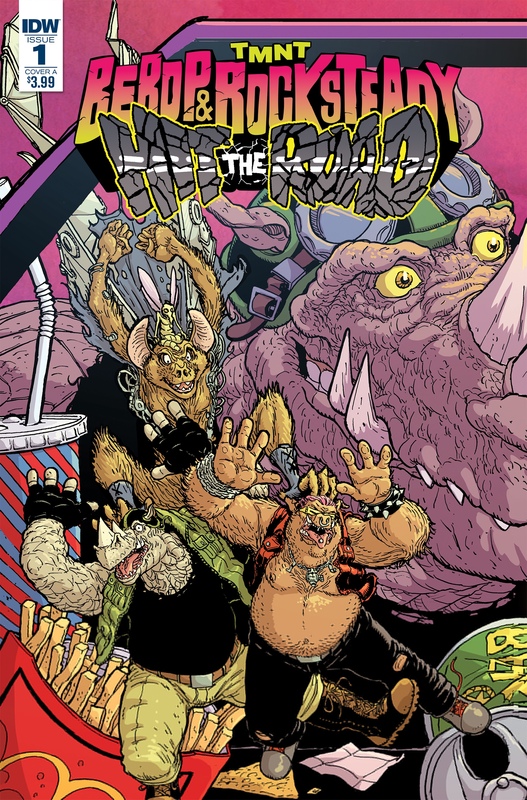 Bebop and Rocksteady’s road trip reaches its crazed conclusion as old enemies from their trip catch up and a brand new unbeatable foe stands between them and their home! • Variant cover by Aaron Conley!